Due to the advancement of computing and communication technology, networked control systems may soon become prevalent in many control applications. While the capability of employing the communication network in the control loop certainly provides many benefits, it also raises several challenges which need to be overcome to utilize the benefits. In this chapter, we focus on one major challenge: a middleware framework that enables a networked control system to be implemented. 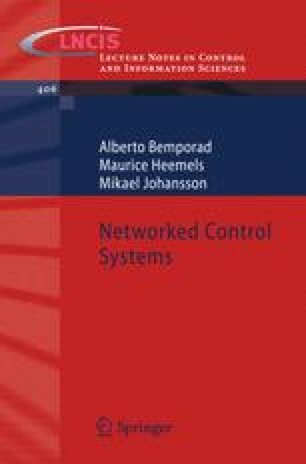 Indeed our thesis is that a middleware for networked control system is important for the future of networked control systems. We discuss the fundamental issues which need to be considered in the design and development of an appropriate middleware for networked control systems. We describe Etherware, a middleware for networked control system which has been developed at the University of Illinois, as an example of such a middleware framework, to illustrate how these issues can be addressed in the design of a middleware. Using a networked inverted pendulum control system as an example, we demonstrate the powerful capabilities provided by Etherware for a networked control system.